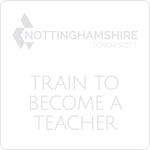 Toot Hill School participates in the Nottinghamshire County Council's coordinated scheme for the September Year 7 intake and applications should be made directly to them. 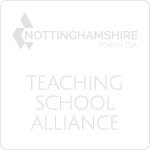 For those children who live outside of Nottinghamshire County, parents/carers should apply on a common application form through their 'home' county. The closing date for the coordinated admission scheme is 31 October preceding admission to secondary school. Places are allocated on the National Offer Day: 1st March. More information on the County Council Admissions web page. We organise Primary School and Sixth Form Open Evenings, when prospective parents and pupils have an opportunity to visit the school. We are also always pleased to show parents and prospective parents around the school during the working day, and to answer any questions you may have. For an appointment, please contact the school office. Do you attend one of the Toot Hill family of schools? If you expect to move house, please make contact well in advance. You are welcome to look around the school. We, in turn, will need to request records and meet with you. We also admit pupils from other primary schools and into the College, provided places are available. Admissions in-year will be processed by Toot Hill School and applications should be made directly to the school. The application form is available to download here and further details of how to apply are available by contacting the admissions team via the contact form. 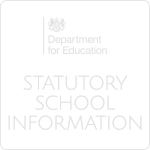 Please be aware that on receipt of your completed Application Form we will be contacting your child's current school for information regarding academic levels, attendance and behaviour.